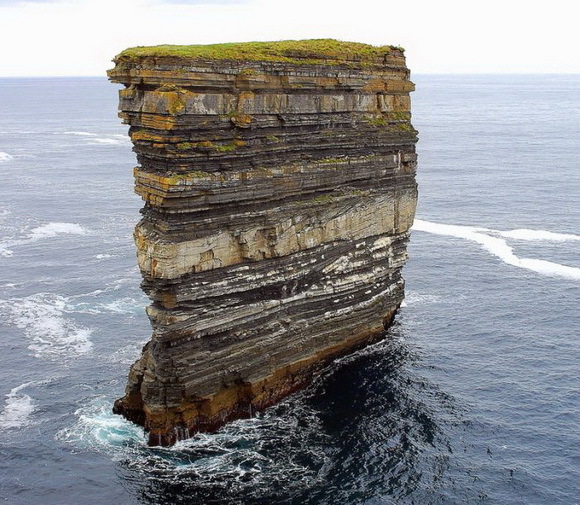 Dun Briste, a spectacular sea-stack, estimated to be approximately 50 metres (165ft) in height, stands 80 metres (260ft) off Downpatrick Head, in the town-land of Knockaun, east of Ballycastle, Ireland. 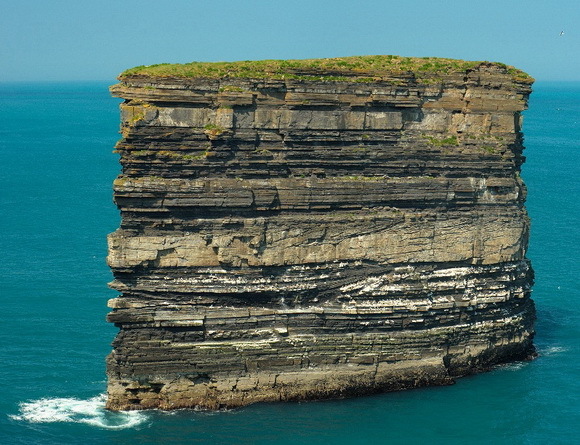 Downpatrick Head is where the Atlantic has gouged a huge bay from the mighty cliffs and their summits scoured of all vegetation except grass by the ceaseless ocean winds. 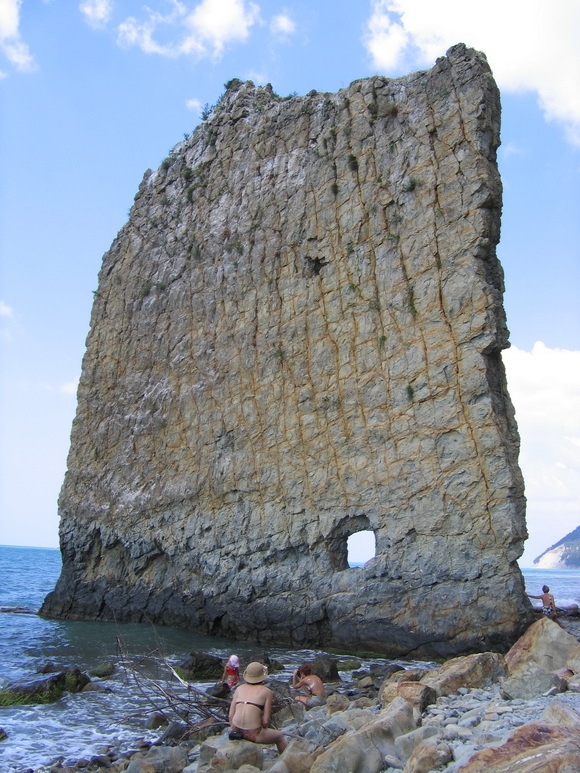 Sail Rock is a natural sandstone monolith located on the shore of the Black Sea, in Krasnodar Krai, Russia. 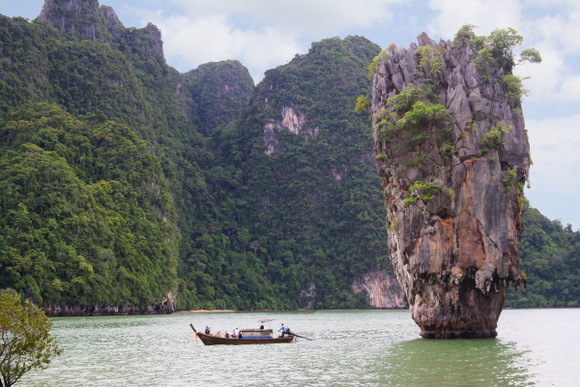 It resembles the outline of a ship’s sail, hence its name. 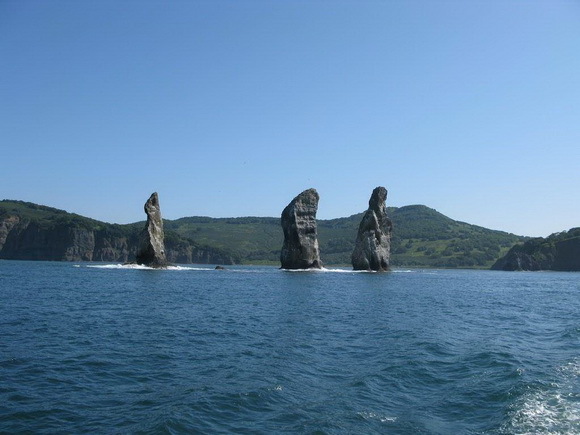 The monolith lies 17 km (10.5mi) to the southeast of Gelendzhik, near the village of Praskoveyevka (which is about 500 meters (1,650ft) from the coast) and the farmstead of Dzhankhot (approximately twice that distance from the coast). 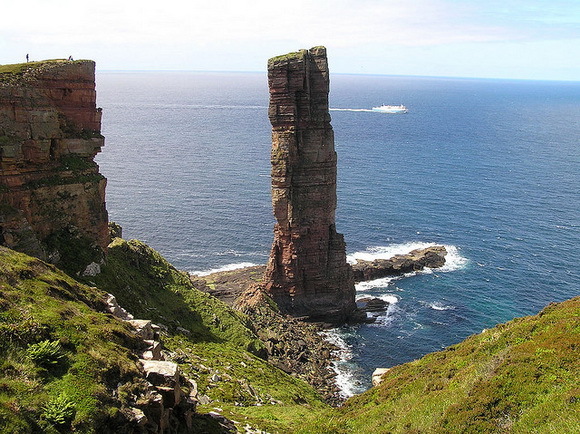 The Old Man of Hoy is a 449 feet (137m) sea stack on the island of Hoy. 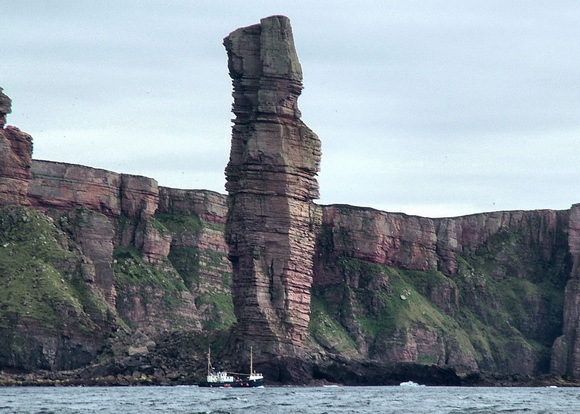 It is a distinctive landmark from the Thurso to Stromness ferry and was first climbed in 1966. 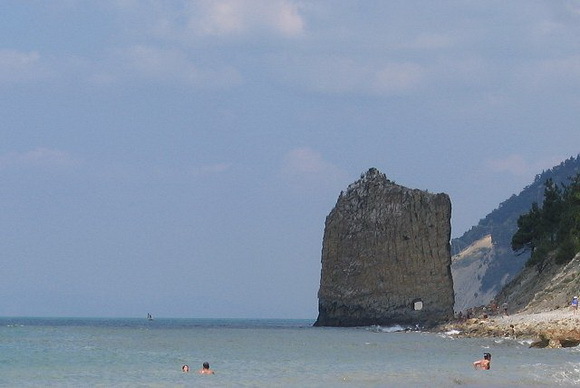 This stack is an red sandstone stack, perched on a plinth of basalt rock. 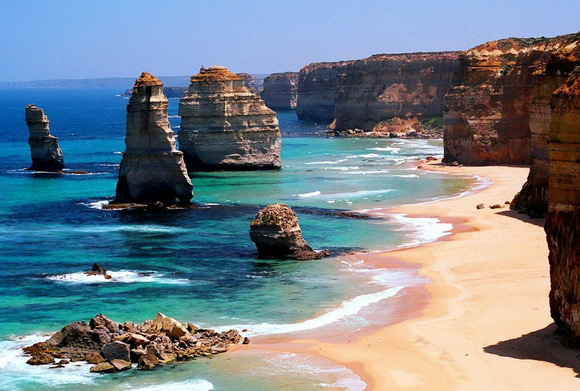 It stands close to Rackwick Bay on the west coast of the island of Hoy, in the Orkney Islands, Scotland. 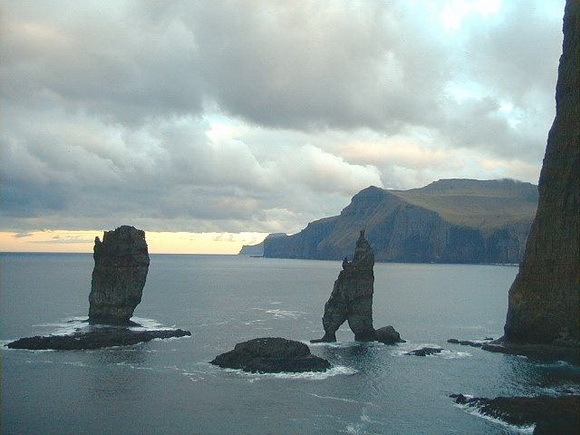 Risin og Kellingin (Risin and Kellingin) are two sea stacks just off the northern coast of the island of Eysturoy in the Faroe Islands close to the town of Eiði. The name Risin og Kellingin means The Giant and the Witch and relates to an old legend about their origins. 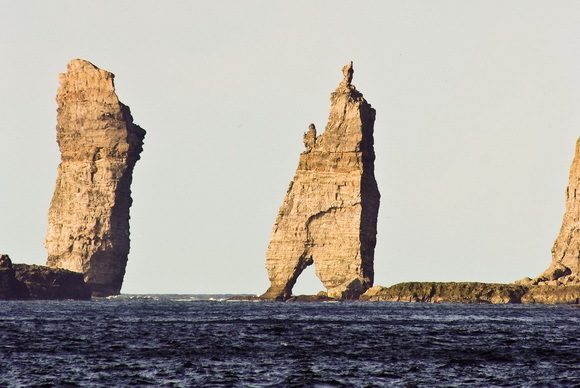 The Giant (Risin) is the 71m (233ft) stack further from the coast, and the witch (Kellingin) is the 68m (223ft) pointed stack nearer land, standing with her legs apart. 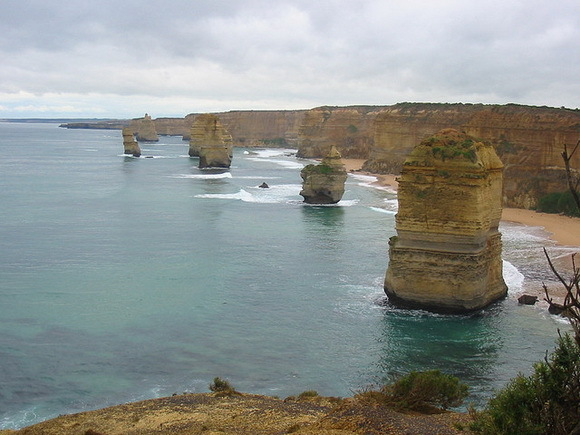 Ko Tapu is a limestone rock about 20 metres (66 ft) tall with the diameter increasing from about 4 metres (13 ft) near the water level to about 8 metres (26 ft) at the top. 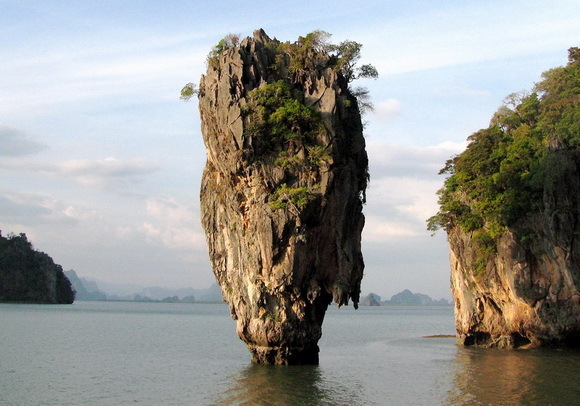 It lies about 40 metres (130 ft) to the west from the northern part of Khao Phing Kan (a pair of islands on the west coast of Thailand). 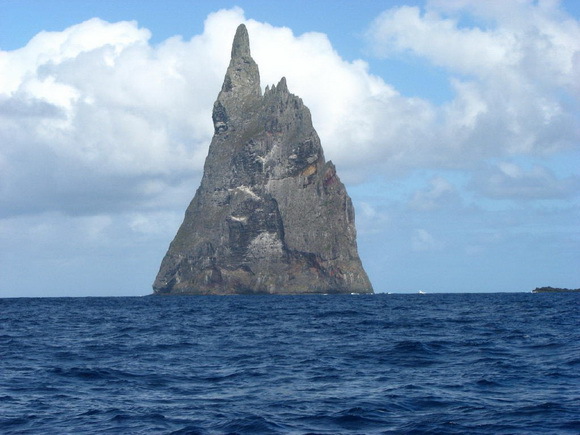 Ball's Pyramid is 20 kilometres (12 mi) southeast of Lord Howe Island in the Pacific Ocean. 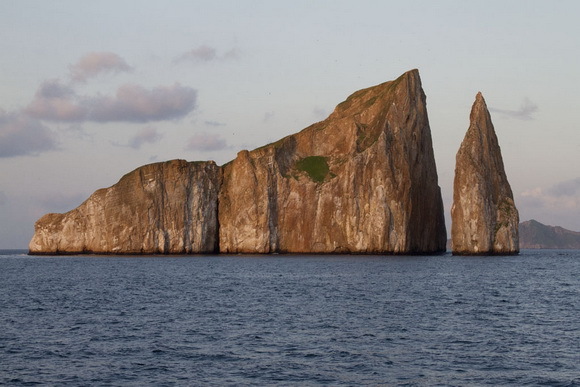 It is 562 metres (1,844 ft) high, while measuring only 1,100 metres (3,600 ft) in length and 300 metres (980 ft) across, making it the tallest volcanic stack in the world. 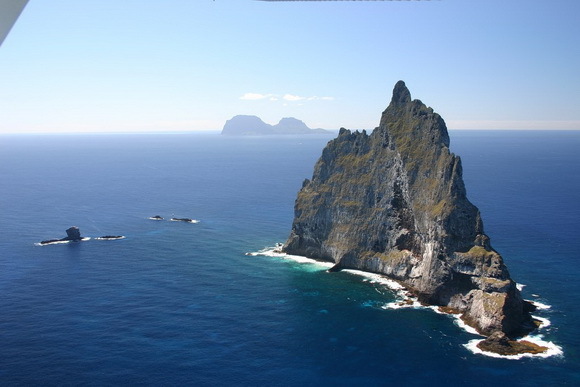 Ball's Pyramid is part of the Lord Howe Island Marine Park. 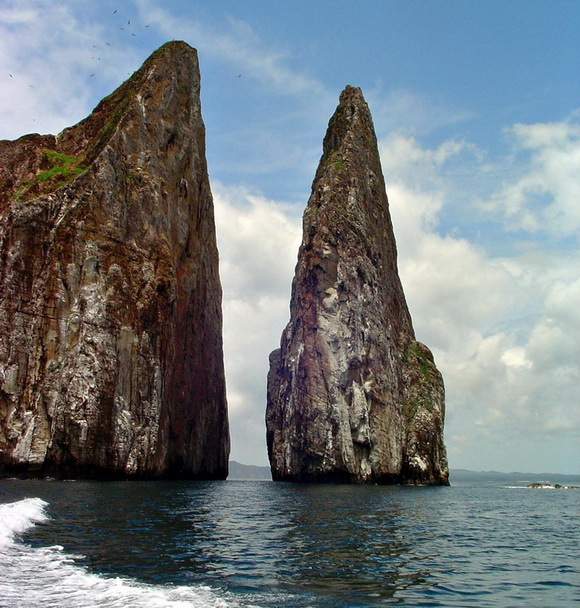 Kicker Rock, also called the Sleeping Lion is a rocky formation and popular dive destination on the western side of Isla San Cristobal, the easternmost island in the Galápagos archipelago. 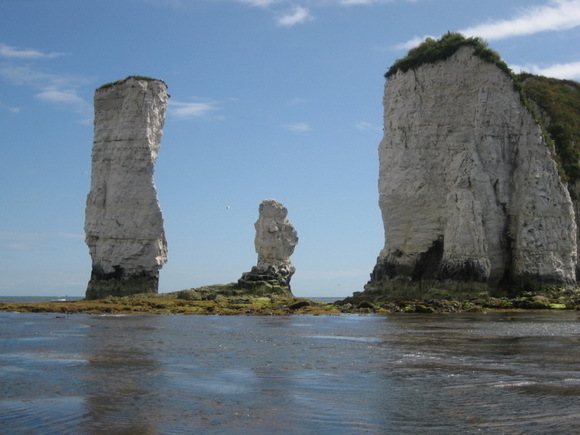 The Old Harry Rocks are two chalk stacks located on the Dorset coast in the south of England. 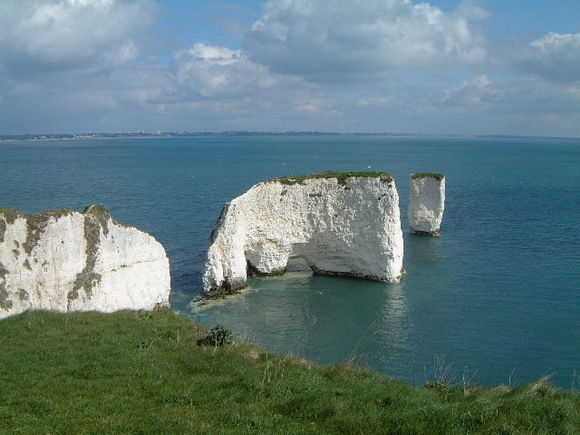 The rocks mark the eastern end of the Jurassic Coast. The cliffs here are mainly made up of chalk, with some bands of flint within them. 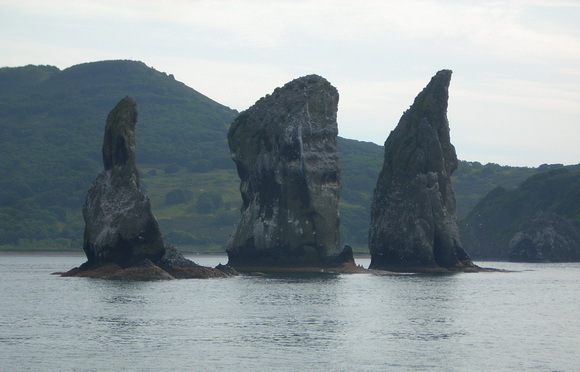 At the entrance of Avacha Bay lies Tri Brata, a trio of scenic stacks which is considered a symbol of Petropavlovsk-Kamchatsky, the main city of Kamchatka Krai, Russia.